UNG students spread bark chips outside the old Lumpkin County Courthouse on the square in Dahlonega. 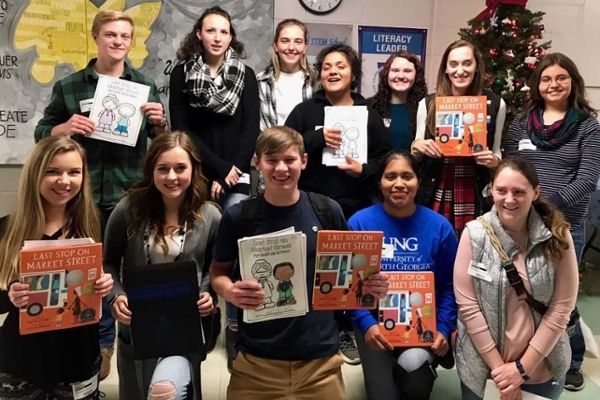 Service learning projects enable students to connect with their community while learning valuable skills and knowledge outside of the classroom. Service learning is one of the subjects that will be discussed during this spring's LEAP-inspired events. A series of presentations promoting high-impact educational practices will resume at the University of North Georgia (UNG) on Jan. 25 with an event discussing the merits and methods of integrating service-learning in the classroom. The events are a reflection of UNG's commitment along with other state institutions in pursuing designation for Georgia as a LEAP (Liberal Education and America's Promise) state. LEAP was created in 2005 by the Association of American Colleges & Universities in response to higher national demand for college-educated workers and informed citizens with higher levels of engagement. "Since spring 2015, UNG's LEAP committee members have worked with the university's Center for Teaching, Learning & Leadership to examine ways of promoting high-impact educational practices (HIPs) and of identifying professors and departments already implementing these practices at UNG," said Dr. Samuel Prestridge, chair of UNG's LEAP committee and associate professor of English. On Monday, Jan. 25, at 12 p.m., Dr. Margaret Williamson, professor of sociology, and Andrew Pearl, director of academic engagement, will present "Integrating Service-Learning Pedagogy in the Classroom" to show how this practice connects classroom learning with real-world experience. 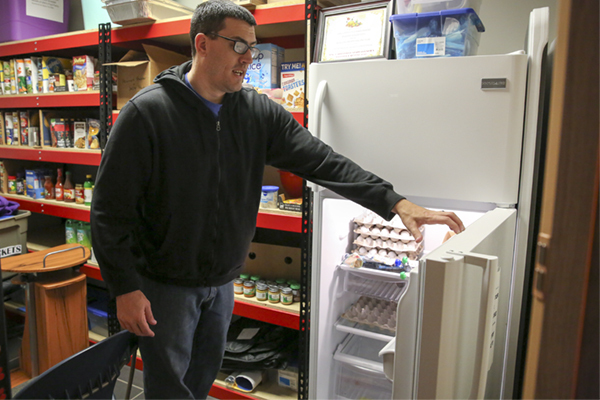 "Service-learning is an important part of a student's collegiate experience because it provides them with an opportunity to become engaged in the community through the university, and helps them see the "bigger picture" with issues in society," Williamson said. "Students at UNG get unique experiences with service-learning because they are engaging in service in a smaller setting. For example, students in my class are allowed to choose where they want to perform their service and because the class is relatively small (32 students) they can engage with me directly about experiences they are having." Williamson added that faculty and staff will be shown how incorporating a service-learning requirement is easier than it may seem. "During service-learning, students are given the opportunity to see how the material they are learning in the classroom matters in a broader context," Pearl said. "Not only does this help them better understand the academic material, but they also can become more civically aware and involved, grow professionally and personally, and learn something about themselves along the way. 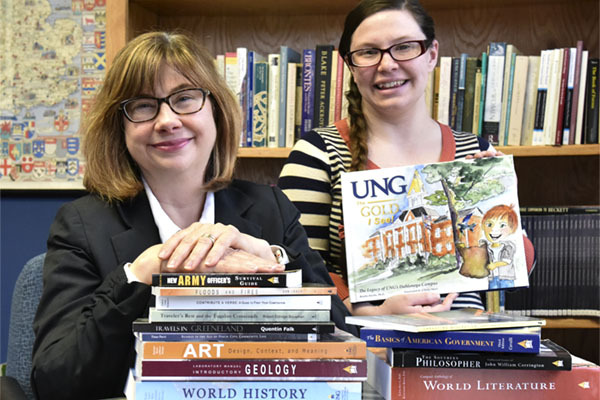 At UNG, our students — who come from a wide variety of backgrounds — frequently are given the opportunity to give back to the communities from which they come and bring to bear the knowledge they are gaining to issues that are important to them." Feb. 22: Drs. Steven Lloyd and Ryan Shanks. "UR HIP at UNG: Undergraduate Research as a High Impact Practice at UNG." Feb. 29: Jennifer Graff and Thomas Hartfield. "Faculty-Driven Innovation through Leveraging Essential Learning Outcomes and Principles of Excellence." March 4: Drs. Mary Carney and Laura Ng. "Foundations of LEAP in the Scholarship of Teaching and Learning." All presentations are available through Blackboard Collaborative. In October of 2015, Dr. Tanya Bennett presented: "LEAP at UNG: What is a Liberal Education and Why is It Important?" During the presentation, she discussed UNG's efforts in the national context of the initiative, including the roles that faculty-driven reform and innovation play in providing liberal education to students.